Apple's announcement at Macworld that the new iPhone would be powered by OS X was a surprise. The middle of last year, I had stated that Apple would likely use Symbian rather than develop a mobile version of Mac OS X. Just prior to Macworld, I predicted no chance for a new Mac or iPod device running "Mac OS X CE." I threw in the “CE” just to be extra safe, as an allusion to Microsoft's problematic money pit of WinCE / Windows Mobile. As it turns out, that detail lets me now insist that I was only half wrong: while Apple did indeed announce a mobile version of its desktop OS, it's not really comparable to Microsoft's WinCE strategy at all. Microsoft's desktop Windows products are based on the NT operating system, first released as Windows NT 3.1. After NT 4.0, new versions of NT were assigned marketing names: NT 5.0 was called Windows 2000, 5.1 was Windows XP, and NT 6.0 is Windows Vista. The Xbox and 360 are also based upon a specialized version of NT. 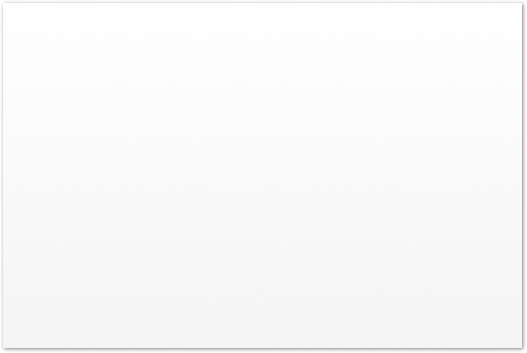 In contrast to Microsoft's NT-based desktop Windows, WinCE an entirely different OS that only shares the Windows name and some user interface conventions, such as the Start Button. While there are terminology similarities and technology parallels--as one might expect from two products from the same company--WinCE is simply not a scaled down version of the Windows NT family at all. 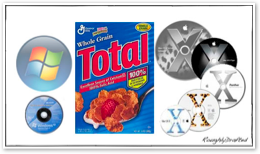 In contrast to Microsoft's NT and WinCE, the version of OS X used on the iPhone--and apparently also the new Apple TV, aka iTV--shares far more in common with the desktop Mac version, from its Mach/BSD kernel to its Cocoa frameworks. A month ago, I had described the iPod, iPhone, and iTV as being a new platform for Apple, all sharing the same user interface conventions, integration with iTunes, and a common, consistent simplicity that is just what the Device Problems In Search of a Solution demand. Accomplishing that did not necessarily demand porting Mac OS X; the iPod already solves those issues without needing to announce that it runs some compact edition of a desktop OS. However, by reusing its existing technology in as many places as possible, Apple will not only get iPhone features for "free," but will also be able to rapidly share new technologies between its new hardware devices and the Mac. Developing new software, particularly an entirely new operating system, is a huge task. The Newton OS was in development for 7 years before initially shipping, and Mac OS X--while based largely upon the existing, functional technology in NeXTSTEP--still took Apple around 7 years to deliver to the mainstream. Once Jaguar hit the scene, Apple was able to rapidly build upon that foundation. Within five years, Mac OS X enabled Apple to jump to Intel-based Macs and now expand into ARM-based handhelds. •Palm OS is the new CP/M, a bit past its prime as a holdover from the last decade. •Windows Mobile is the new DOS, struggling to clone and conquer yesterday's standard. •Apple's OS X is the new Mac, an intelligent rethinking of how things should work. •Linux is the new Amiga, a tinker fantasy that will ultimately go nowhere until it finds a driver. 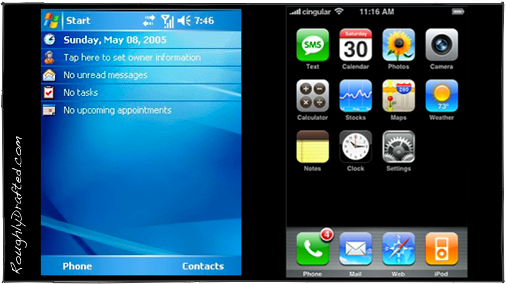 •Symbian is the new Unix: the commercial standard currently powering the majority of mobiles. Another way to apply a historical context to this year's mobile shootout is to look a decade into the past to compare the engineering decisions made then with how they turned out and what's happening now.